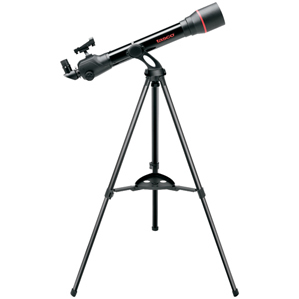 This telescope extends to 2 1/2 inches and has 3x power. Four assorted colors. 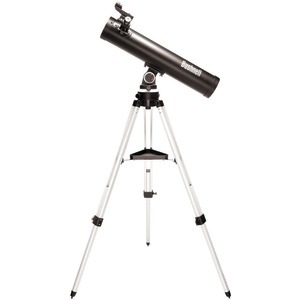 Explore your world and reveal details you never knew existed with this indoor-outdoor microscope. 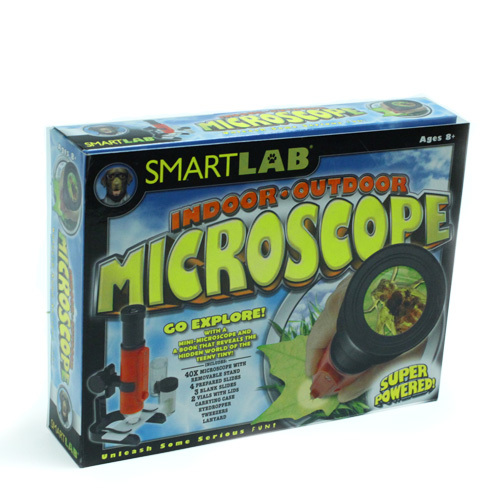 Featuring a 40X microscope with removable stand, this item is a great gift idea for the adventurous child in your life. Each kit comes with four prepared slides, three blank slides, two vials with lids, a carrying case, eye dropper, tweezers and lanyard. The informational booklet included contains fun-filled facts that answer questions like what the sweet crystals on candy look like, and what mystery material is on your toothbrush. This item is recommended for ages 8 and up.